A girl is trying to eliminate gluten and meat in her diet this week. She was gifted a pasta of the month club and has pasta and sauces that need to be put to use. 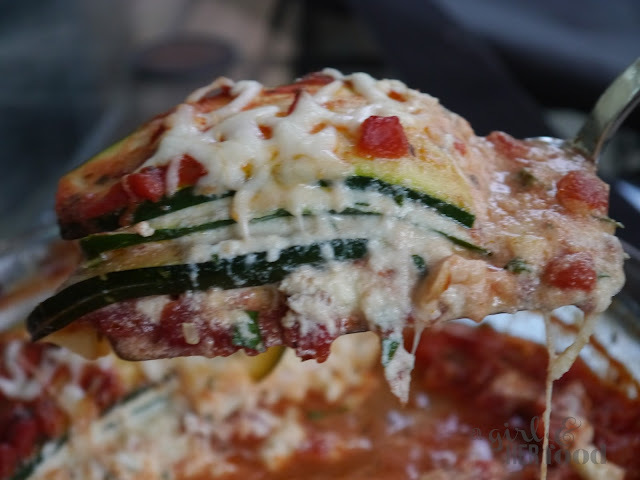 At first, hubby didn't really want to substitute lasagna noodles with strips of zucchini. Boy he was surprised how delicious this dish came out!!! It's also gluten-free and vegetarian. Heat 1 tablespoon of olive oil in saute pan and cook zucchini strips for a couple minutes per side. You can use your grill pan or put zucchini under the broiler. 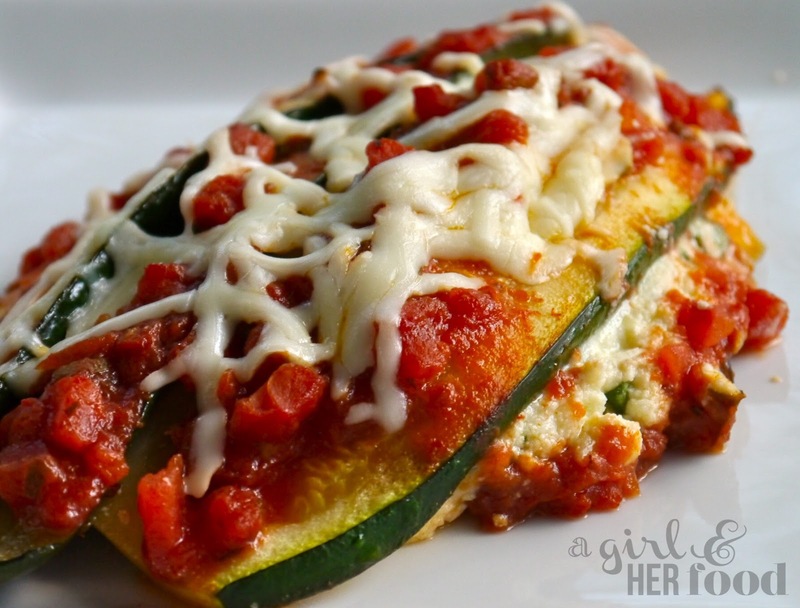 You want to cook the zucchini before you place in baking dish so lasagna won't be watery. Remove and set aside. In a small bowl mix garlic, ricotta cheese, mozzarella cheese, egg and basil. Salt and pepper the mixture to your taste. 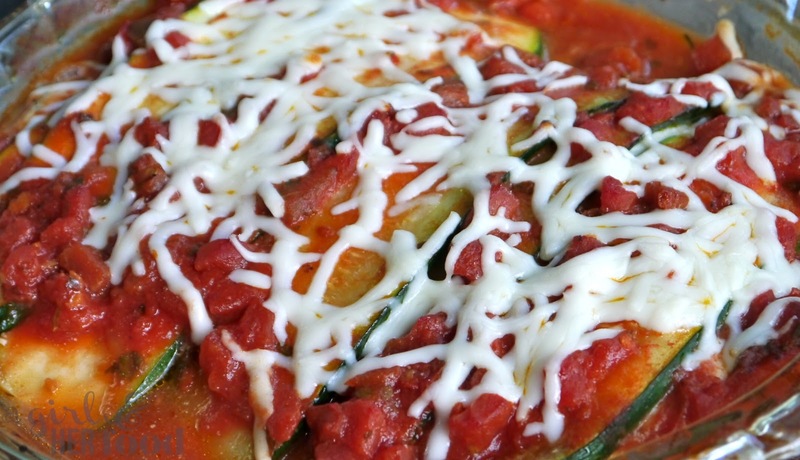 In a baking dish, since cooking for two a girl used a smaller baking dish, spread a layer of sauce on the bottom and layer strips of zucchini on top of the sauce to cover the base. Spoon and spread mixture over the zucchini. Repeat until you use up all your ingredients. Top with more sauce and cover with foil. Bake for about 25 minutes and sprinkle a handful of shredded mozzarella cheese and bake for another 10 minutes, uncovered. Let cool for 5 minutes before serving. Enjoy! This is a great lasagna recipe. Love your spin on it.